Some time after school ended, I asked my girls what they’d like to do for summer. They knew they would be going to summer camp for most of the summer, so this list would be additional activities we could do as a family. I never consider myself a procrastinator, but with summer quickly coming to an end, I figured it was time to pull out their “Summer Fun” list. This week we’ve made sure to check off as many items from this list since they’ll be in school early next week. Here’s what we’ve done so far. Ever heard of Bricks for Kids? I just learned about them through the Polk County History Museum. 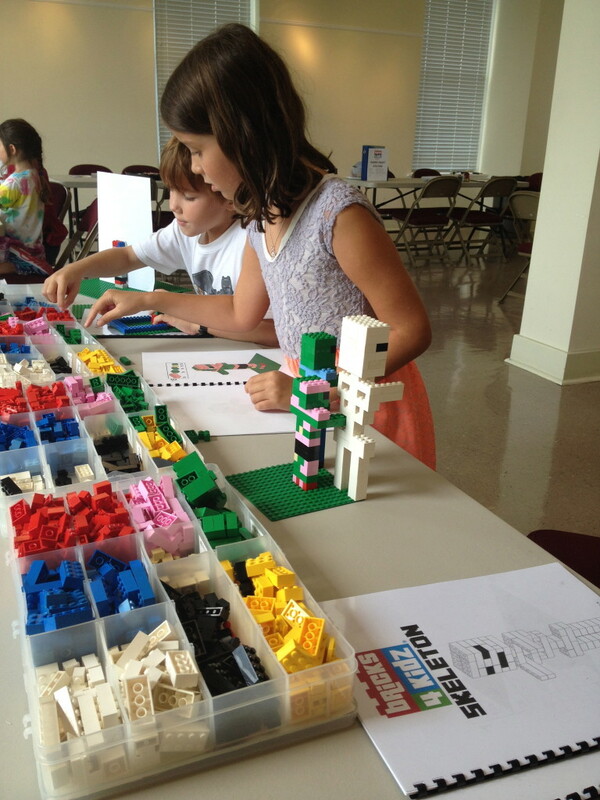 Bricks for Kids was hosting a weekly camp at the Museum and after that, they were moving their weekly summer camp to Legoland. Legoland check! One of my favorite requests was going to the car wash. Score for mommy. We had to wait until the Muppets movie was released this past Tuesday, so that’s off the list. 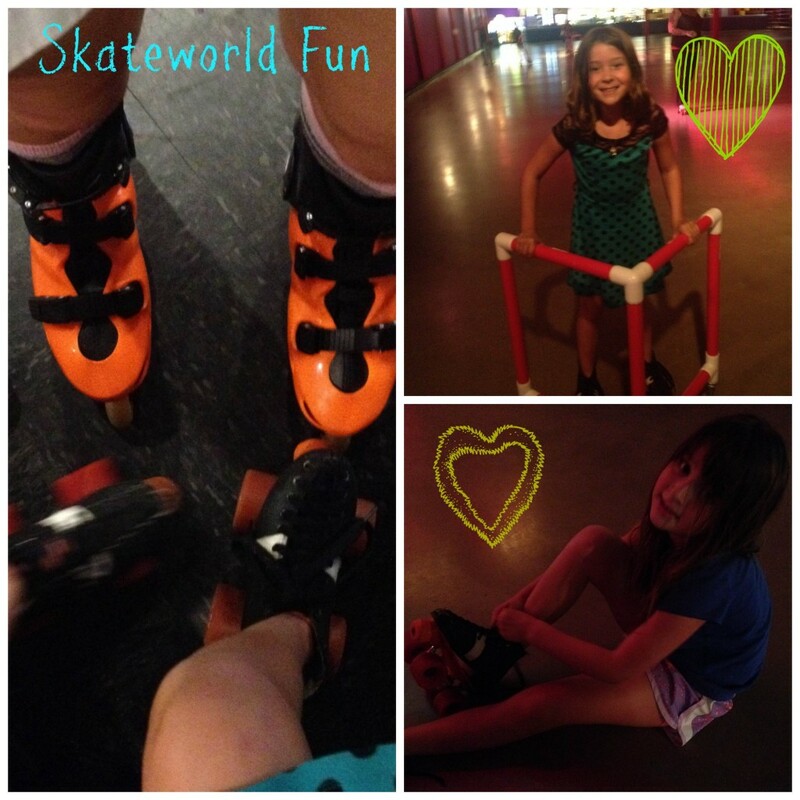 Yesterday we tackled rollerskating by heading to Skateworld in Lakeland. Mind you this was their first time going to the rollerskating rink. They really enjoyed it. They fell quite a few times, but they were smiling the whole time. I was able to go around the rink a few times and it just brought memories of growing up. I remember we used to go rollerskating in summer camp too. I couldn’t help but smile thinking how far I’ve come. 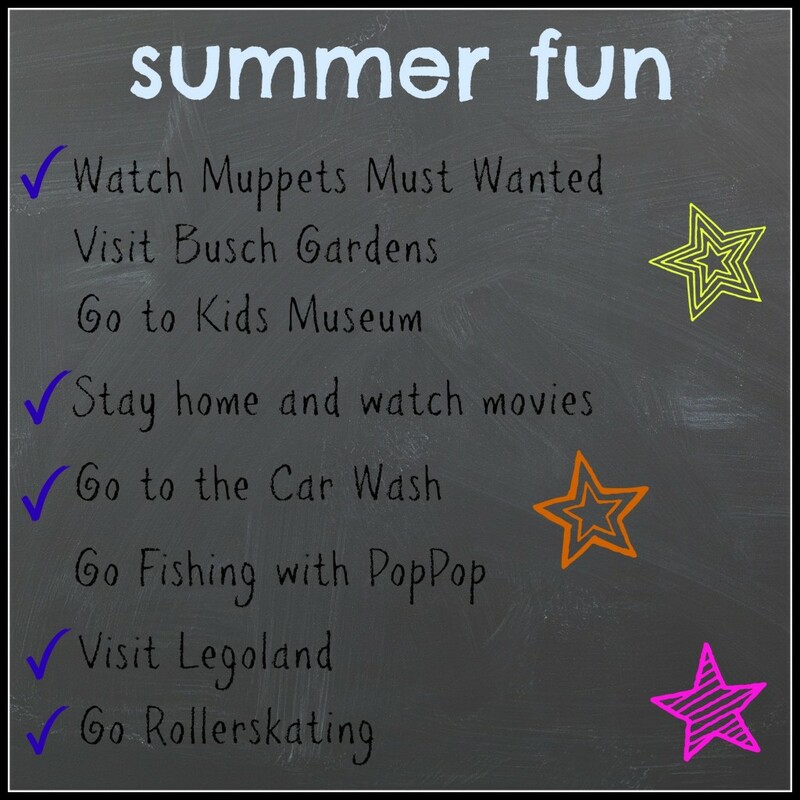 To finish our summer fun list we still need to go to Busch Gardens, a kids museum and go fishing with PopPop. Hopefully the rain will hold off today as we head to Busch Gardens in a little bit. I know the girls are excited to see Elmo in the Sesame Street Safari of Fun, but I bet they are going to ask if they can ride Cheetah Hunt. We shall see! As for the kids museum, I hope to take them to the Tampa Art Museum’s kids program this weekend. Every Saturday from 11-2 they host a drop-in art program. We’ve never been before and I’ve always wanted to take them. Do you make a “summer fun” list? Oh that sounds like so much fun! This summer has gone by too quickly! My youngest son just graduated high school so your post brought back a little nostalgia. Enjoy the years they go by way to fast! Michelle recently posted…How Many Calories Am I Eating? Aww. Thank you. They really grow way too fast. Sounds like you are having a fun summer! 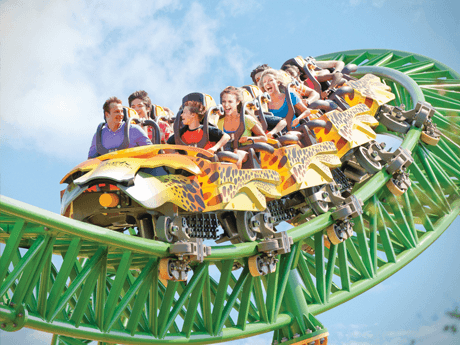 I have never been to Busch Gardens. I liked Muppets Most Wanted a lot. Have fun in the final few days of summer! Thank you! Just trying to squeeze as much fun as possible in the last few days! FUN!!! they need to be 48″ tall for Cheetah Hunt! The #TampaTrio are all finally tall enough for ALL the coasters at BG. Our visit last month was the best one yet for them. They rode everything!! Sounds like you’re making great progress on your list! Love the roller skating pics. My son isn’t in school yet, but my goal for the summer was to take him to the local splash park (check) and go to the community pool as much as possible (also check! ), so we’re in good shape. Thank you! They keep asking when can they go back to roller skate again! Love it all! My kids would love to go to Lego Land and it’s on our calendars for next year! Enjoyed the Muppets ourselves and that was a great way to start our summer fun. It’s about making memories! You are absolutely right! It’s all about those memories. And they remember the craziest things! I can’t believe it’s back to school time already… didn’t summer just start?! This is a great idea and I will have to do this for upcoming vacations and next summer. We end up just winging it but I know that we could get a lot more fun in if we made a plan beforehand. Sounds like an awesome summer bucket list! The TMA Satuday’s are great – we have been to several & they tie them into the theme of the exhibits really well, while keeping projects easy yet interesting for kids. Love Florida, by the way, and will enjoy following you! Vickie Munton recently posted…What’s Happening in St. Louis? I’ve always wanted to visit Colorado! Hopefully some day we’ll make it there. Yea, the roller skating bug has bit my kids! They can not wait to go back. As for the comment widget, is called commentluv. It’s a wordpress pluggin. I love it! Suzanne Michele recently posted…What’s with the Ads and Affiliate Links? This looks like a great list – I hope you got it all (or most of it) done! I didn’t make one of these lists with my girls, but I’m definitely going to do one next year – they do a lot with their camp, but I’m sure there are things that they’d like to do that aren’t on their regular field trip list. I can’t believe how quickly the summer has flown by!